Everyone smelled what The Rock was cooking during The Attitude Era. The grandson of “High Chief” Peter Maivia and the son of Rocky Johnson, The Rock was seemingly destined for in-ring greatness from birth … but few could have anticipated the heights “The Most Electrifying Man in All of Entertainment” would someday reach. The smiling, tassel-wearing Rocky Maivia attracted a great deal of attention at Survivor Series 1996, where he was the sole survivor of his squad, and was applauded for his Intercontinental Championship victory over Triple H the following year. Despite his clean-cut appearance and positive outlook, it wasn’t until The Rock lashed out at the WWE Universe in frustration that crowds truly began to gravitate toward him. 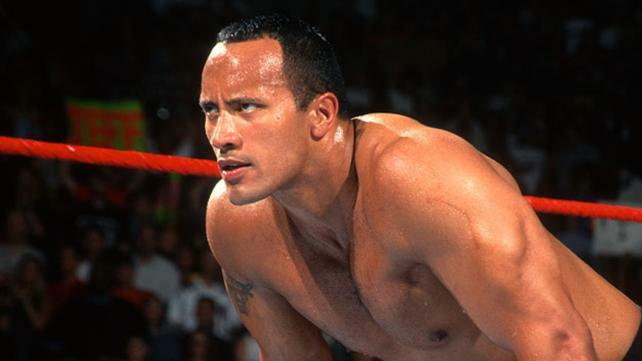 It was that signature gift of gab that would not only cement The Rock as one of the most captivating in-ring performers in any era — Attitude or otherwise — but also a fixture in popular culture. The Brahma Bull’s clashes and begrudging partnership with Mankind as The Rock ‘N’ Sock Connection were endlessly entertaining, as was his persistent berating of Michael Cole, his affinity for fine lodging (the SmackDown Hotel, at the corner of Know Your Role Blvd. and Jabroni Drive) and his well-documented love of pie. Pastries aside, The Rock wasn’t just a force on the mic, bringing to the ring unmatched intensity in classic bouts with “Stone Cold” Steve Austin, Triple H and even Hulk Hogan.